Aye, we said it, our first annual FAMILY Pyrate Day in Old Algiers Point – ye don’t want to miss out! Presented in accord with our mates (and designated charitable organization) Confetti Kids, who are doing great things for the community! They’ve also been especially helpful in organizing this particular event, pulling out all the stops and gathering in support from all over the Algiers community! Speaking o’ the community, Warren & his jolly crew at Old Point Bar have donated not one, but two great spots for us – and the Bar in between – and it’s all right across the road from the levee & the Mississippi! “Warrens Corner” is a great historic building that will become the “Kids Pub” with local Storytellers, Authors, Artists and Musicians especially for the wee Swabs & their Families. Proceeds will go back into Confetti Kids and their good works! 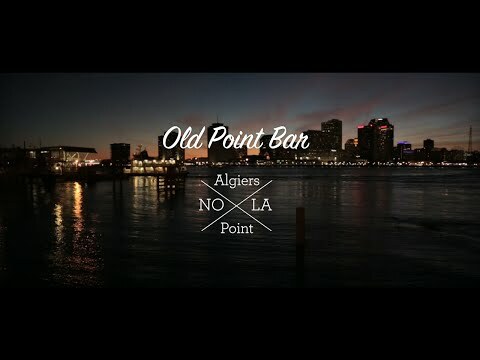 O’ course Old Point Bar itself is over 100 years old and still going strong; a great place to relax, have a drink and take in the atmosphere o’ the “most filmed bar in New Orleans”. Next to the bar is a large greenspace for the Pyrates Market – Artists, Artisans, Craftspeople…and live music from our good mates, The Whiskey Bay Rovers! Be sure to bring yer doubloons to tip the band & bartender…and pick up a treasure or two! Speaking o’ treasures…this is also the same day as “Treasures From The Point” – the largest neighbourhood porch sale in the city (or possibly any city); hundreds o’ households participating. Really, if ye can’t find a treasure or make a new mate on this trip, yer doing something wrong!